Most of you have probably already had unpleasant experiences with small lesion or lesions in your mouth. 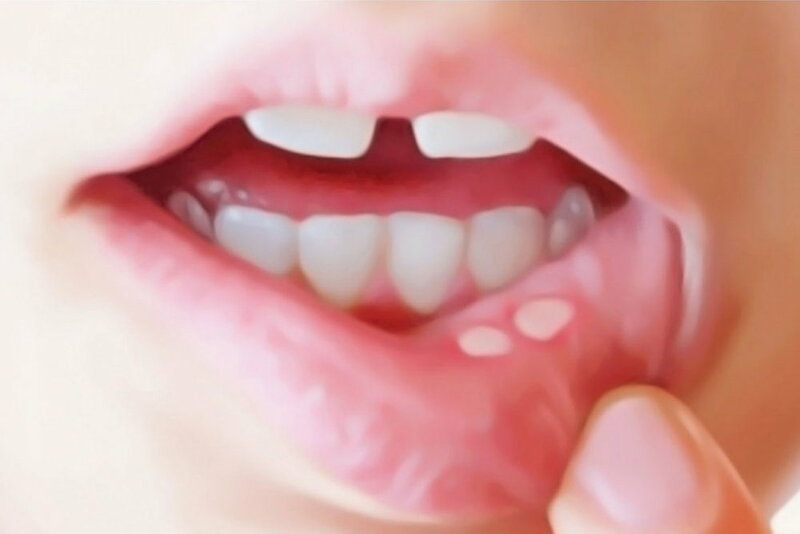 Those of you who had more frequent occurrences of this problem most likely visited a dentist seeking help and found out that these reoccurring lesions are called canker sores or aphthous ulcers. What Are Canker Sores and how do They Occur? The cause for canker sores is not known to this day. There is a number of theories and assumptions from the claim that it’s caused by a species of bacteria to the claim that it’s a genetically conditioned issue. What we know for certain is that there are factors that work in favor to this type of sores. Numerous clinical experiences point to the fact that emotional stress, gastrointestinal diseases (heightened or lowered acidity of gastric juices) and vitamin deficit (especially vitamin B), hormonal disorders (women with low estrogen levels), allergies and chronic conditions that weaken the immune system may hold significant importance to the occurrence of canker sores. These problems occur in a large number of people around the world, including around 10-25% of the population. The issue is more frequent with people of a higher socio-economical standing, with women as well as with persons that are frequently under stress. Oddly enough, this problem is very rare with smokers. Red rash and slight tingling of the affected part of mucosa precedes every occurrence of canker sores that appears as a bubble filled with clear liquid. Thanks to the thin membrane, the bubble breaks quickly, releasing the clear liquid and in its place remains a small lesion. Thanks to this, the fine nerve endings become exposed which makes the affected area exceptionally sensitive to any simulants. The pain is even more intense while eating hot or spicy food (especially acidic or chilly food). These sores usually occur on so called nonfunctional mucosae (cheek mucosae, tongue, the area under the tongue), but also more rarely on the so called functional mucosae (dental tissue, palate). There are three types of canker sores. The most frequent ones are the so called small sores that occur in around 80% of population. The sole name says that these sores are small in size and they last from seven up to fourteen days. With some patients they repetitively occur during several months (with reoccurring new damages). The next type is rarer as it occurs in around 10% of cases and it appears in the shape of sizable sores, larger than one centimeter. These sores are also accompanied by elevated body temperature. Due to their size and lesion depth into the mucosa, the healing period is longer than with small sores. The third type occurs as a large number of tiny lesions that group on a certain area and cause intense pain since they appear on a very inflamed surface, the mucosa. The therapy starts with attempting to remove the pain by applying surface anesthetics. After this we approach the process of reducing the inflammation using various medication in the dentist’s office. At home you can fight the inflammation by rinsing with tea (sage tea). It’s also necessary to maintain a quality oral hygiene, avoid smoking and alcoholic beverages and if possible take B vitamins.